RocketPACS is 100% cloud-based and runs on any workstations or wireless devices such as Android, iPads and iPhones. RocketPACS’s easy-to-use browser based image viewer features intuitive touch-screen gestures such as pinch-to-zoom, drag-to-pan, and swipe-to-advance. This simple touch interface allows confident presentation during client communication and consultation. The RocketPACS viewer is powered by easy-to-use layout controls for image magnification, brightness and contrast controls, measurement tools and side-by-side comparison of prior exams. Behind this simple and intuitive viewer is a powerful PACS engine that provides fast image streaming, queries, and downloads. In addition, a fully programmable DICOM router gives you complete control over radiology and clinical workflows in your clinic. 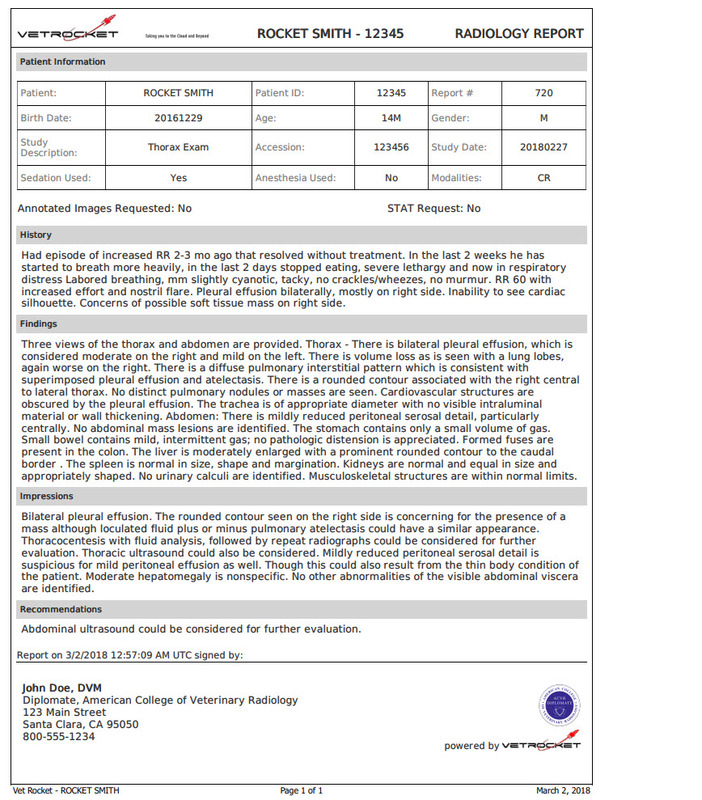 RocketPACS RIS is a complete web-based radiology and workflow management system . 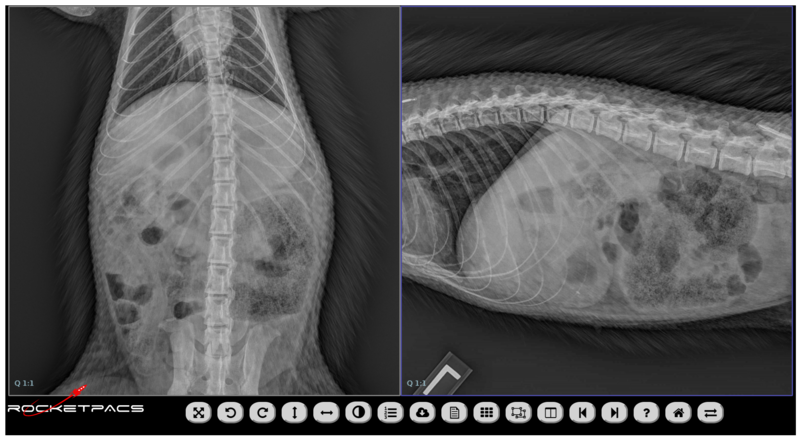 It provides Modality Worklist (MWL) integration for modalities such as Digital Radiography, Ultrasound, MRI and CT.
RocketPACS RIS integrates with popular veterinary software such as ezyVet, Cornerstone, rVetlink, SmartFlow, and Tracks. Enjoy a full-featured PACS solution with no software installation. Contact Vet Rocket today at info@vetrocket.com for an online demo and when you are ready for lift-off to the cloud and beyond!